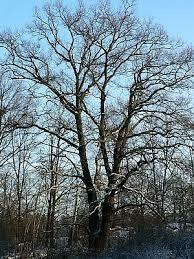 Trees go through a dormant season when the weather gets colder. The dormant season can provide your trees the chance to conserve their energy and prepare for the upcoming spring. Healthy trees replace their bark in cycles. If your tree is healthy you should notice fresh and uncompromised bark. If, however, you notice cracks in your tree’s bark or it appears that it has shed its bark without replacing it with a fresh layer, it can also be a sign of a dead or dying tree. The most important step you can take is contact a tree removal firm like Case Mountain Tree Service for an assessment. This strategy will provide a definitive answer along with a plan to effectively handle the results of the assessment.